On the hunt this morning for content something just popped into my mind, the thought of a Ludwig Mies van der Rohe post really attracted me for some reason. Maybe because we haven’t really explored his works before here or maybe because I’ve been reading up on this famous designer a fair bit. 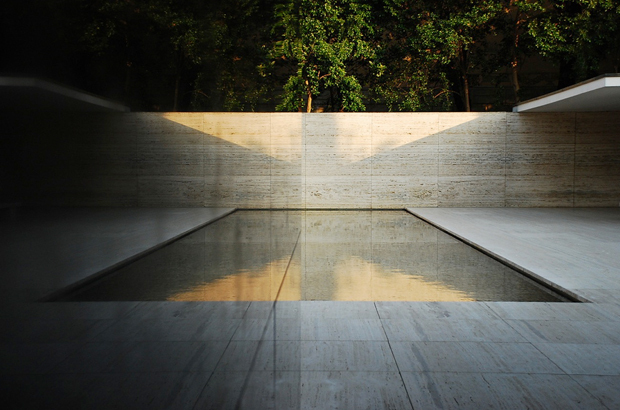 So off I went bumbling around the Mies Society homepage to construct a piece on ‘The Barcelona Pavilion’ which has been a specific building that I’ve been reading about in my Mies van der Rohe “Less is more” book. Little did I know that it’s actually Mies’s 126th birthday today which is quite a weird coincidence if you ask me, I have to thank google for the hint with their illustrated doodle of the Crown Hall at the Illinois Institute of Technology on their homepage. How I missed that I dont know! Since it’s his birthday today a lot of the bigger sites have decided to appreciate the man and celebrate his life which is nice to see, I found a particularly nice fact out about Ludwig and his teaching methods from Phaidon this afternoon. For example his students in year one would have to learn the discipline of drawing well, year two they’d learn the basic construction in brick, wood and stone. Taking note of their intrinsic properties and learn about form, proportion, rhythm, texture and colour. All the way to year five where they’d have to learn about the expression of structure and materials, groups of buildings and their interrelationship. Fascinating to see his approach and knowledge coming into play, maybe give that article a read over on the Phaidon blog if you get a chance tonight. 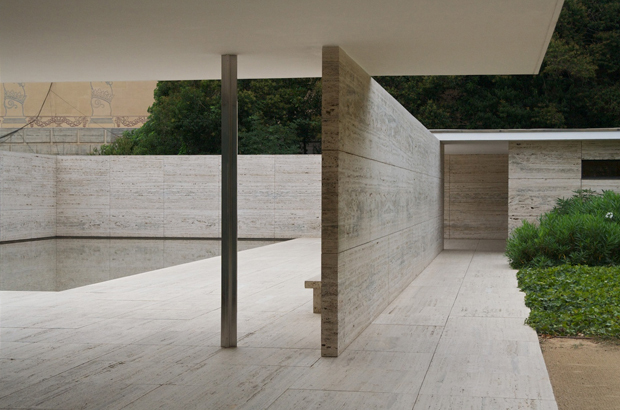 Moving onto the building that I picked out today, ‘The Barcelona Pavillion’ is one of Mies’s principle works and was created in the wake of WWI to represent the new Germany: a country that was prospering, culturally progressive and most of all a pacifist (opposing war and violence). 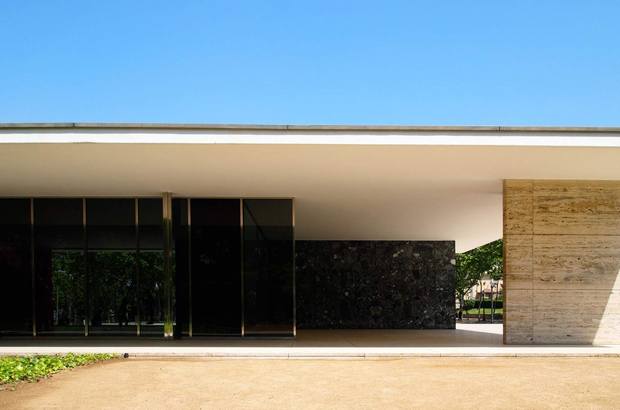 This gave Mies the reigns to do something interesting and different with the structure, playing on his modernistic approach and adding elements from previous projects such as his metal-framed structure of his Weissenhof apartment building and the translucent walls of his Glass Room. Although the structure was completed in 1929, due to budget cuts and a narrow time-frame the building had serious structural flaws, this meant it was torn down in 1930. 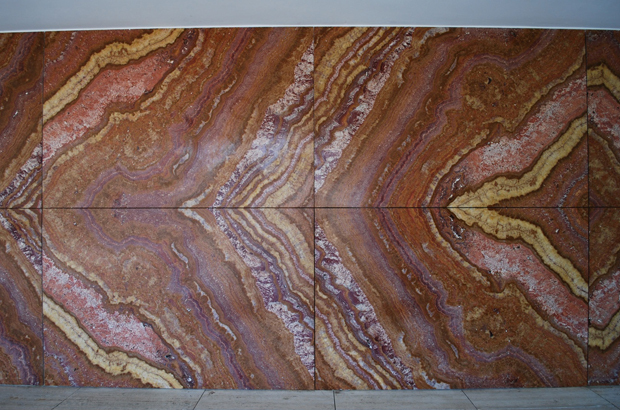 Thanks to the detailed photographs and logged data on the project the building was able to be reconstructed by some talented architects in around 1983. 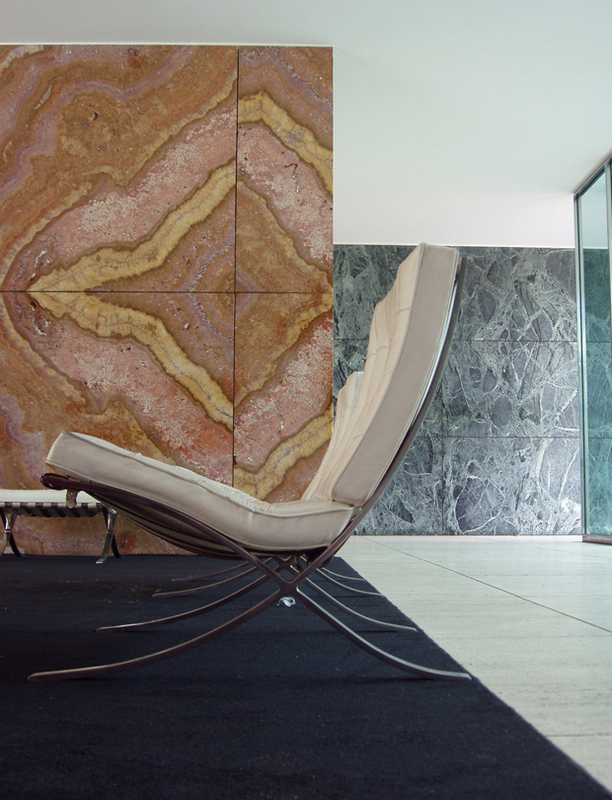 Today we can see this building in all it’s prowess, with its interior even being kitted out with some original Mies furniture such as the Barcelona table and Barcelona chair. 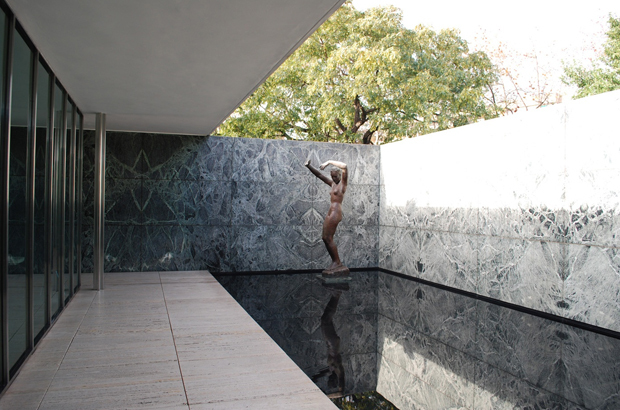 Happy 126th Birthday Ludwig Mies van der Rohe, thank you for all the inspiration. Enjoy the imagery below which shows just how timeless this building is. 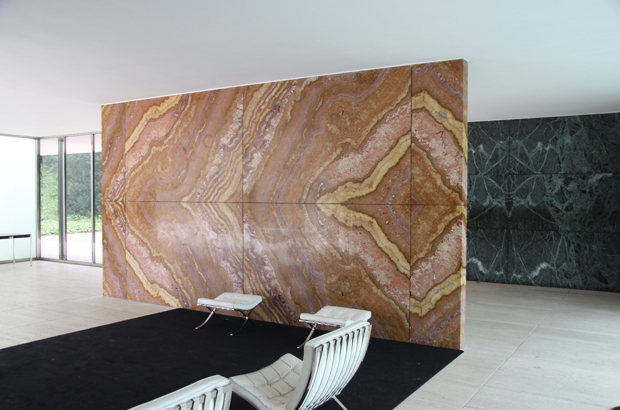 If you want to learn more head towards the Mies Society webpage where they have all of his projects and his complete timeline.